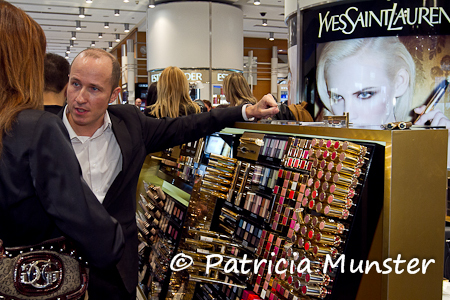 This afternoon at Attica Department Store in the center of Athens Fred Letailleur, European Make-up Artist for YSL, came to show us how to apply the new line of Yves Saint Laurent Look Noël 2011. 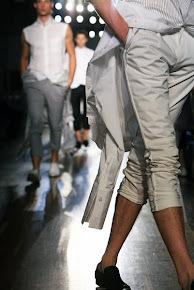 Fred Letailleur has extensive experience backstage at fashion shows including Milan, Paris and Tokyo, as well as regular features for top magazines like Marie Claire and Cosmopolitan and he has worked with celebrities including Cate Blanchett and Eva Herzigova. In a following post the details on the make up of Adela and Katerina.